Movement is the fundamental feature of life. Movement is crucial for every aspect of life, be it digestion, circulation, immunity or metabolism. However, Parkinson’s disease is a neurodegenerative disorder in which a person’s motor abilities are affected. It occurs when the neurons present in the substantia nigra region of brain do not produce a neurotransmitter, dopamine, which is responsible for facilitating communication between two areas of brain. The regions generally affected are those which control movement thereby, impairing the person’s movement. It is a disease that develops gradually, sometimes starting with a minor tremor in one hand, which is barely noticeable. Gradually, tremors become the most profound symptom, along with stiffness and slowing of movement. Non-motor symptoms like dementia and psychosis also develop in majority of the people. There are no medicines that can cure Parkinson’s disease. However, it can be managed through medicines. In rare cases, surgery might be suggested to regulate certain areas of brain and improve the patient’s symptoms. Parkinson’s disease is the second most common neurodegenerative disorder that affects the elderly, after Alzheimer’s. It is estimated that nearly 7 to 10 million people have Parkinson’s disease, worldwide. Studies have indicated that 41 out of every 100,000 people in the fourth decade of their life and 1,900 out of every 100,000 people in the age group of 80 years and above have Parkinson’s. Men are 1 1/2 times more susceptible to have Parkinson’s than women. Every year, nearly 60,000 Americans are diagnosed with Parkinson’s disease. As the disease is difficult to diagnose correctly, there are thousands of cases that go undiagnosed. This disease costs the U.S. economy approximately 25 billion USD, directly and indirectly. 1. 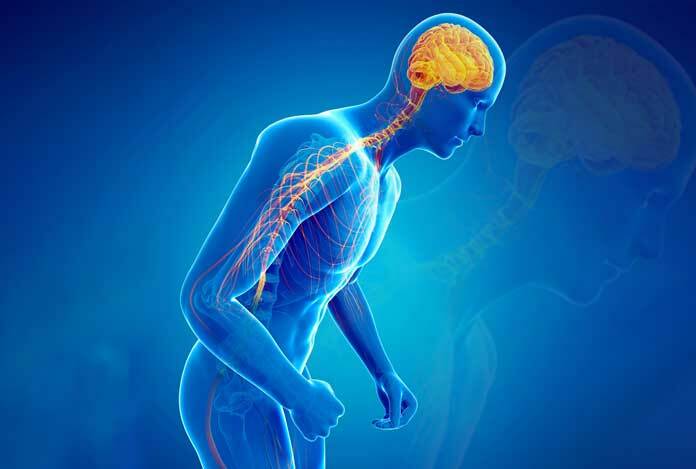 Primary Parkinsonism: Majority of patients diagnosed with Parkinson’s disease have primary Parkinsonism or idiopathic Parkinson’s disease, in which there is no evident cause for the disease. The symptoms of this type of Parkinsonism can be managed by giving drugs that increase the concentration or substituting dopamine in the brain. 2. Secondary Parkinsonism: Also known as Parkinsonian Syndrome or Atypical Parkinsonism or Parkinson’s Plus, this type of Parkinsonism includes all other types of Parkinson’s for which the cause is known. This type of Parkinsonism does not respond well to drugs that increase the level of dopamine in the brain. The symptoms of drug induced Parkinsonism generally do not progress further and stay the same. Only in rare cases do these symptoms progress. People suffering from this type of Parkinsonism generally recover within a few months or even with few hours of stopping the drug which is responsible for dopamine blockage. b) Vascular (Arteriosclerotic) Parkinsonism: In Vascular Parkinsonism several small strokes occurr in the part of brain which is responsible for perceiving information about position and movement and lead to development of symptoms like rigidity and slowness, speech and memory problems, and walking with short and shuffling steps. All these symptoms resemble that of Parkinson’s disease. This generally affects the legs more severely than the rest of the body. It is difficult to distinguish Vascular Parkinsonism from Parkinson’s disease. However, stroke symptoms appear suddenly and do not have the tendency to progress, whereas, the symptoms of Parkinson’s tend to progress with time. High blood pressure and diabetes are the most likely causes for Vascular Parkinsonism along with stroke and heart disease. c) Normal Pressure Hydrocephalus: It is a condition in which the cerebrospinal fluid present inside the brain increases, affecting brain function. The symptoms displayed by the disease are very similar in nature to those seen in Parkinson’s disease. The disease can be treated by removing the fluid from the brain. d) Corticobasal Degeneration (CBD): It is a rare type of Parkinsonism, affecting people who are in the age group of 40 years and above, typically between 50 and 70 years of age. In this condition, in the early stages, one side of the body is more affected than the other. Gradually, it spreads throughout the body. The disease displays similarities with Progressive Supranuclear Palsy (PSP). It has also been observed that some people with CBD develop PSP in later stages and vice versa. e) Progressive Supranuclear Palsy (PSP): It is a rather less known disease of nervous system which is sometimes misdiagnosed as stroke, Alzheimer’s, Parkinson’s or Motor Neuron Disease. There is also a possibility that this disease can go unnoticed, especially in older people. Since, the disease shows symptoms that are similar to those of Parkinson’s disease, it is included in this group. The disease occurs due to overproduction of a certain protein, tau, in certain areas of the brain. These tau proteins form clumps that are thought to damage nerve cells or nerve endings in those areas of brain and spinal cord, which control balance, eye movements, thought process, speech and the ability to swallow. f) Multiple System Atrophy (MSA): It is a progressive neurodegenerative disease that is caused due to excessive production of a protein, alpha synuclein, which causes neural damage in several areas of brain, like basal ganglia, cerebellum and the brain stem, leading to a number of problems, especially related to balance, movement and other autonomic body functions. The symptoms displayed by the disease are very similar to that of Parkinson’s but this disease progresses more rapidly. g) Dementia with Lewy Bodies (DLB): Dementia is a general term that is used to describe a number of conditions in which a person experiences problem with memory and thinking. Dementia with Lewy Bodies, also known as Lewy body disease is a form of dementia that develops due to deposition of microscopic proteins, called Lewy bodies, in the brain. People with this disease show some symptoms that are consistent with those shown by people having Parkinson’s disease like stiff muscles, tremors and slow movement. h) Essential Tremor (ET): It is a relatively common condition in which a person experiences trembling of hands or arms, trembling can even spread to head, trunk, legs and voice. The exact cause of ET is not known but it is thought to have some hereditary factor attached to it. 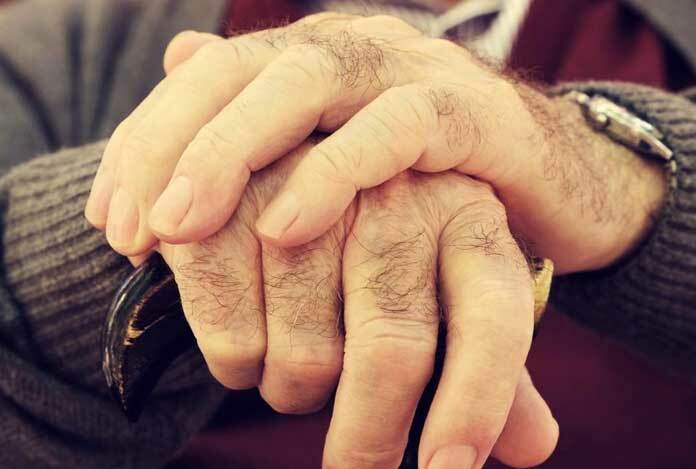 It is generally confused with Parkinson’s disease but the difference between the two is that in Parkinson’s, the trembling in hands is more common when they are resting in the person’s lap or when he is walking. On the other hand, ET is a type of ‘action tremor’ which is more evident when the hands are in motion like holding a cup or using cutlery. The signs and symptoms of Parkinson’s disease vary from person to person. Early signs are mild and might go unnoticed. Symptoms generally begin on one side of the body and remain severe on that side, even when the symptoms start appearing on both sides of the body. Tremor: A tremor or shaking, usually begins in a limb mostly in the hand or fingers. The patients might observe back-and-forth rubbing of their thumb and forefinger, which is called a pill-rolling tremor. Having tremor while being at rest is one of the characteristic symptoms of Parkinson’s disease. Slowed Movement (Bradykinesia): Over time, Parkinson’s disease decreases a person’s ability to move, slows down his movement, making simple tasks challenging and time-consuming. The person’s steps become shorter when he walks, or he might find it difficult to get out of a chair. Also, the person might drag his feet as he tries to walk, making it difficult for him to move. Rigid Muscles: The patients also experience muscle stiffness, which limits their range of motion and causes pain. Impaired Posture and Balance: The person’s posture usually becomes stooped, or he might experience balance problems due to Parkinson’s disease. 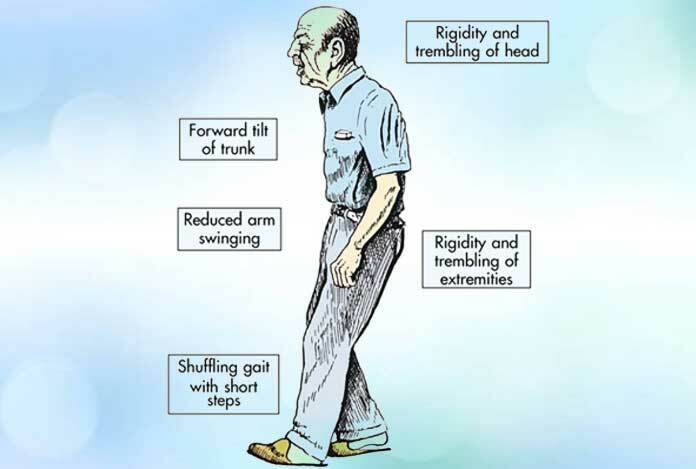 Loss of Automatic Movements: The person’s ability to perform unconscious movements like smiling, blinking or arm swinging while walking, might decrease due to the disease. Speech Changes: People with Parkinson’s disease might experience speech problems like speaking softly, quickly, slurring or hesitating before talking. Their speech might be more of a monotone rather than with the usual inflections. Writing Changes: With Parkinson’s disease, it becomes hard to write, and the person’s writing might appear small. Thinking Difficulties: People with Parkinson’s disease experience dementia and thinking difficulties which occur in the later stages of disease. These cognitive problems do not respond very well to medications. Depression and Emotional Changes: People having Parkinson’s disease might also suffer from depression. Receiving treatment for depression can help these patients in managing their symptoms of depression. Fear, anxiety, loss of motivation and other emotional changes can also be experienced by these patients. Swallowing Problems: As the condition progresses, these patients might develop problems with swallowing, leading to accumulation of saliva in the mouth, causing drooling. Sleep Problems and Sleep Disorders: People with Parkinson’s disease often develop sleep disorders which includes waking up frequently at night, sleepiness during day or waking up early at night. They can also develop rapid eye movement sleep behavior disorder in which the person starts to act out his dreams. Bladder Problems: People with Parkinson’s might develop bladder problems due to which the person is unable to control urine or experiences difficulty while urinating. Constipation: A slower digestive tract in people suffering from Parkinson’s diseases leads to constipation. Changes in Blood Pressure: Patients might experience orthostatic hypotension which makes feel dizzy or light headed when they stands up due to sudden drop in blood pressure. Smell Dysfunction: Patients often experience problems with their sense of smell. They might find themselves struggling while identifying certain odors or differentiating between odors. Parkinson’s disease affects two systems, motor and non-motor. Motor symptoms presented in the disease can be divide into three stages, namely, mild, moderate and advanced, whereas non-motor symptoms can be divided into two stages, early and late. a) Mild Stage: There are a few symptoms present which are bothersome but do not affect the daily life of the people. In this stage, drugs are quite effective in keeping the symptoms manageable. c) Moderate Stage: Symptoms of moderate stage disease appear 3-7 years after the early symptoms are noticed. The medicines too start to show wearing off effect between doses. c. Advanced Stage: Some patients never reach this stage, when the medicines stop showing any effect and serious disabilities begin to set in. Almost everyone suffering from Parkinson’s disease displays one or other non-motor symptoms. When they get severe, they have a higher potential of making a person disabled than motor problems. These symptoms can become evident at any time, but generally, they are known to follow a trend. 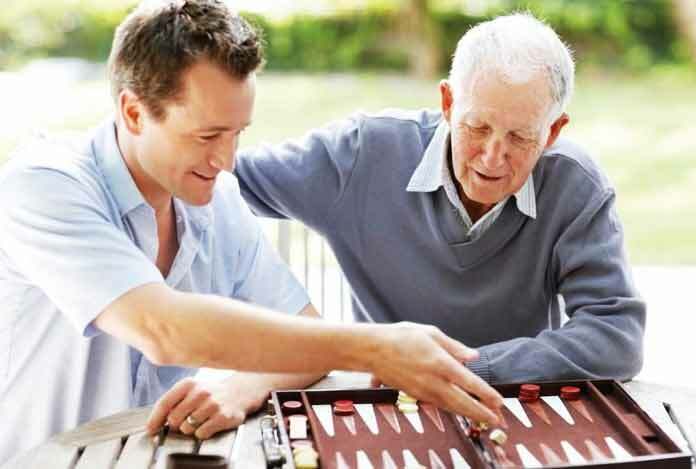 Age: People who are aged 60 years or more generally develop Parkinson’s disease. It is quite rare for people in the younger age group to develop this disease. Heredity: People who have close relatives with this disease are at a high risk of developing the disease. However, unless and until a person has a number of relatives in his family who are suffering with the disease, the risk of developing the disease still remains low. Gender: Men are at a higher risk of developing the disease than women. Exposure to Toxins: Excessive exposure to herbicide and pesticides may put a person at a slightly high risk of developing Parkinson’s disease. Do I have Parkinson’s Disease? Parkinson’s disease presents itself differently in different individuals. If you are worried you might have Parkinson’s, you must consult a health professional as soon as possible. There are three main symptoms of Parkinson’s, these are tremor, slowness and rigidity, but it is not necessary that everyone will observe all of these. 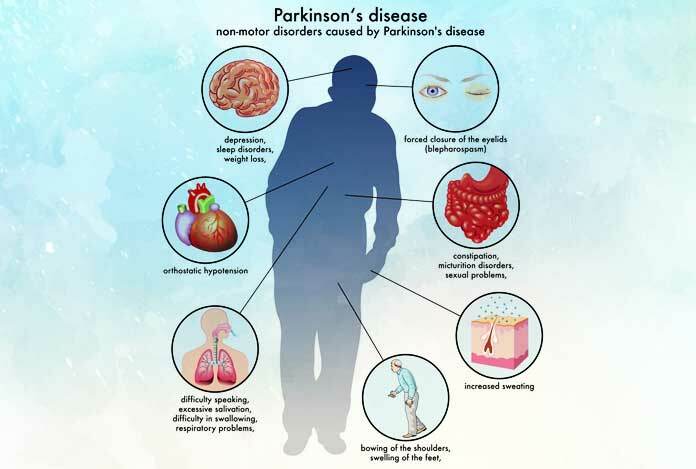 Apart from these symptoms, if you experience freezing, bladder and bowel problems, drooling of saliva, difficulty while swallowing and sleep problems, there is a possibility you might have Parkinson’s disease. However, there is also a possibility that the conditions experienced by you are due to other disease like multiple sclerosis, Wilsons disease, Hallervorden Spatz disease etc. It is therefore, necessary for you to get yourself examined by a physician. Dopamine is a neurotransmitter which aids communication between two areas of brain, the substantia nigra and corpus striatum, for producing smooth, controlled movements. Majority of the movement related symptoms of Parkinson’s disease arises due to decrease in dopamine producing cells present in substantia nigra, thereby decreasing the concentration of dopamine. When the concentration of dopamine in the brain becomes extremely low, communication between the two parts of brain gets affected. This decrease in communication causes impaired movements in the person, proportional to the decrease in dopamine. Other cells of the brain also undergo deterioration and are responsible for causing the non-movement related symptoms present in Parkinson’s disease. 1. Heredity: Scientists have identified specific genetic mutations that can lead to the development of Parkinson’s disease. But, these mutations are not common, except in rare cases in which the disease is known to run in the family and has a number of patients suffering from the disease. 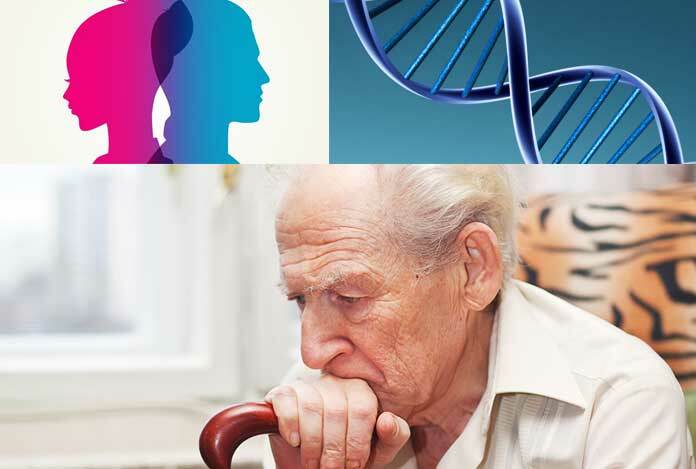 There are certain gene variations in people which increases the risk of Parkinson’s disease in them. 2. 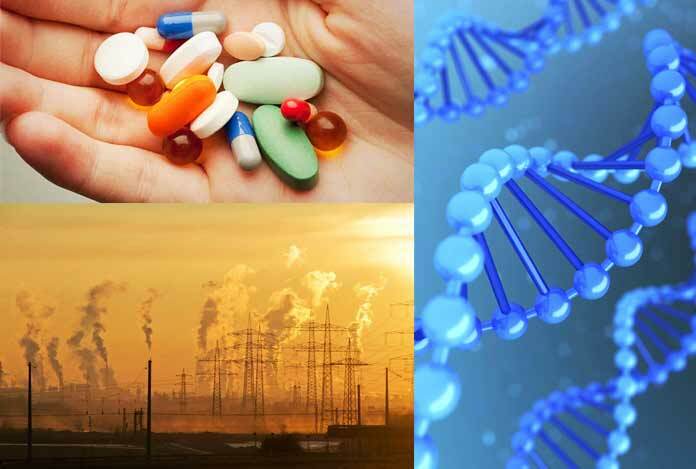 Environmental triggers: People who are exposed to certain toxins or environmental factors might increase their risk of developing Parkinson’s disease, but this risk is relatively small. Since the exact cause of Parkinson’s disease is unknown, there are no proven methods for preventing this disease. Some research shows that caffeine which is found in coffee, cola and tea might help in reducing the risks of developing Parkinson’s disease. Research also points to the benefit of regular aerobic exercises in reducing the risk of Parkinson’s disease. There are no specific tests for diagnosing Parkinson’s disease. A neurologist can diagnose whether a person has Parkinson’s disease after taking a thorough medical history, reviewing the person’s signs and symptoms, and conducting a neurological and physical examination. 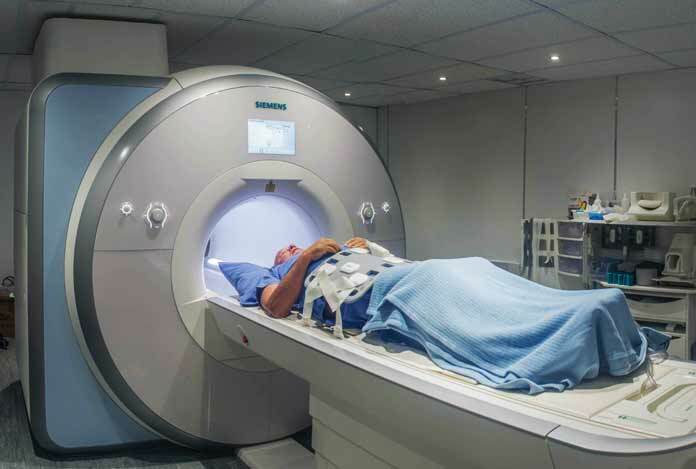 Imaging Tests: MRI, brain ultrasound, PET and PECT scans are performed for diagnosing Parkinson’s disease. However, imaging tests are not very helpful in diagnosing the disease. PET scans can also help in diagnosing the levels of dopamine in the brain. But, PET scan is extremely expensive and is not available readily. Tests by giving drugs: Carbidopa-levodopa, medicines used for treating Parkinson’s disease, might be given in sufficient quantities for a day or two. If the person shows significant improvements with this medication, it confirms the diagnosis of Parkinson’s disease. Regular Follow-up: Sometimes, the disease might take time in getting diagnosed and hence, regular follow-ups with neurologists who are trained in movements should be done to evaluate the condition and symptoms of the patient, which help in diagnosing Parkinson’s disease. Others: Blood tests might be done to evaluate levels of thyroid hormones in the blood or for determining liver damage. It is a disease that cannot be cured completely. However, there are medicines that can help in controlling the symptoms. In some of the advanced cases, surgery might be suggested. Dopamine Precursor: Drugs that act similar to the neurotransmitter dopamine can help in managing the symptoms of PD. However, the only problem is that dopamine precursors are broken down into dopamine by enzyme, decarboxylase, before they can enter the brain and therefore, the dopamine formed shows its effect on other tissues and organs. The only drug belonging to this class is levodopa (l-dopa). With time, as the disease progresses, the benefit from levodopa may wear off, showing a tendency to wax and wane (“wearing off”). Also, involuntary movements (dyskinesia) can be observed after taking higher doses of levodopa. Peripheral Decarboxylase Inhibitors: These are the drugs that inhibit the action of enzyme decarboxylase outside the brain and prevent conversion of dopamine precursors into dopamine outside the brain. They are given in combination with dopamine precursor, levodopa. Drugs belonging to this class are carbidopa and benserazide. Dopamine Agonists: Unlike levodopa, dopamine agonists do not convert into dopamine inside the brain. Rather, they mimic the actions of dopamine inside brain. These drugs are not as effective as levodopa in managing the symptoms. However, they last longer in the brain and can be used along with levodopa to get rid of the off-and-on effect which is shown by levodopa. Drugs belonging to this class are pramipexole, ropinirole and rotigotine. MAO-B Inhibitors : These medications help in preventing the breakdown of dopamine present in the brain by inhibiting the action of enzyme monoamine oxidase B (MAO-B). This enzyme metabolizes dopamine present in the brain. Selegiline and rasagiline are the drugs belonging to this class. Catechol-O-methyltransferase (COMT) Inhibitors: Entacapone is the primary drug belonging to this class, which mildly prolongs the effect of levodopa-carbidopa by inhibiting an enzyme, catechol-o-methyltranferase (COMT) that breaks down levodopa into dopamine before entering the brain. It is used in advanced cases of PD. Tolcapone is another COMT inhibitor that is rarely prescribed due to a risk of serious liver damage and liver failure. Central Anticholinergics: These drugs are used for controlling the tremor associated with Parkinson’s disease. Several anticholinergic medications are available, including benztropine or trihexyphenidyl. Dopamine facilitator: Amantadine is prescribed to provide short-term relief in symptoms of mild, early-stage PD. It may also be given with carbidopa-levodopa therapy during the advanced stages of Parkinson’s disease to control involuntary movements (dyskinesia) which is induced by carbidopa-levodopa. Deep brain stimulation: It is a process in which a surgeon implants electrodes into a specific part of the patient’s brain. These electrodes are connected to a generator placed on the patient’s chest that sends electrical pulses to the brain and may help in reducing the symptoms. It is most often recommended to people with advanced Parkinson’s disease who display unstable responses to medication (levodopa). 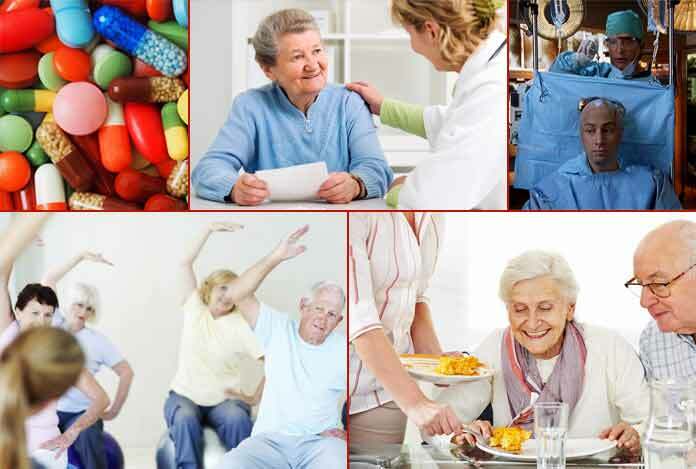 DBS can help in stabilizing medication fluctuations, reduce involuntary movements (dyskinesia), decrease tremor, reduce rigidity, and improve slowing of movement. This therapy is effective in controlling fluctuating responses shown to levodopa or for controlling dyskinesia that does not improve with medication adjustments. However, DBS does not help in managing symptoms that do not respond to levodopa therapy except tremor, which can be controlled by DBS even if the tremor is not being controlled by levodopa. It should be noted that DBS might provide sustained benefit for the symptoms, however, it does not prevent progression of PD. a) Occupational Therapy: Through this therapy, people with Parkinson’s are provided with help so that they are able to carry out their everyday tasks when it becomes too challenging. Occupational therapists help people in managing their fatigue by discussing relaxation techniques and gentle exercises. They help people in improving their communication skills by teaching them certain coping strategies. They also train people in anxiety reducing skills and can even send them to mental health specialist, if the need arises. b) Physiotherapy: A physiotherapist is a person who helps people in maintaining their movement and flexibility as much as possible. These specialists assess how the disease is affecting the patient’s movement and his ability to carry out daily tasks. People who are in the early stages of the disease are advised, educated and supported by the specialists about maintaining their fitness levels and good posture. As the condition progresses, they assist their patients in maintaining a decent posture and balance. They also suggest certain aids and equipment that can help a patient n remaining independent. c) Speech and Language Therapy: Some people with Parkinson’s disease develop problems with their speech and communication. A speech and language therapist can help a person in maintaining as much of his communication skills as possible. They teach strategies and exercises that help the patients in maintaining their volume and speed of speech, facial expressions, breathing and articulation. They also help patients in managing their swallowing and drooling problems. When communicating becomes too difficult, these therapists help people by giving them coping advise. These specialists might also suggest special cups and cutlery that might assist people in eating. It is difficult to live with any chronic illness, and it is normal for the patients to feel angry, depressed or discouraged at some times. Parkinson’s disease, in particular, can become profoundly frustrating, as the person struggles with walking, talking and even eating. 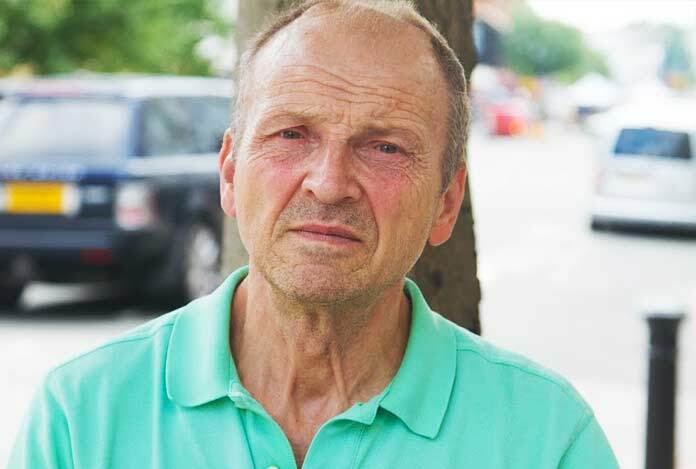 Depression develops commonly in people suffering from Parkinson’s disease. Taking antidepressant medications can help in managing the symptoms of depression. Although friends and family can be best allies for patients suffering from PD, however, they can benefit by talking with people who know what they are actually going through the same. For many people suffering with Parkinson’s disease and their families, support groups can be a boon and act as a good resource for getting practical information about the disease. A patient and his family may also benefit by discussing their concerns with a mental health professional (psychologist) or a social worker who is trained in working with people suffering from chronic conditions. Patients can take OTC pain relievers like ibuprofen, aspirin or naproxen for managing their pain arising due to immobility, rigidity and stiffness of muscles. However, certain supplements can be taken, like vitamin B complex, glutathione and magnesium as they play a vital role in protecting neurons and reduce oxidative stress in the body. All these medicines should be taken only after consulting a doctor. 1. Healthy Eating: There are some foods that may help in managing some of the symptoms of the disease. Consuming foods high in fiber and drinking adequate amount of fluids can help in preventing constipation which is commonly seen in people suffering from Parkinson’s disease. A balanced diet, rich in nutrients, should be taken by the people suffering from the disease. 2. Exercise: Muscle strength, flexibility and balance can be improved by regular exercise. It can also help in improving the overall well-being of the patient and help in reducing depression and anxiety. Patients can be recommended to work with a physical therapist to adopt an exercise program that is suitable for him. Walking, swimming, dancing, gardening, water aerobics or stretching and other exercises can be done by the patients. The patient should avoid moving too quickly. While walking, the person should strike the floor with his heels first. When a patient notices himself shuffling, he should stop and check his posture. It is recommended to stand up straight. The patient must look in front of him and not directly down while walking. Carrying things while walking should be avoided. Walking backward should be avoided. 4. Daily Activities: Dressing, bathing, eating, writing and other daily activities can become challenging for people having Parkinson’s disease. An occupational therapist can help these patients in making their daily life easier. 5. Massage: Muscle tension can be relieved and relaxation can be promoted by massaging the muscles. 6. Acupuncture: Acupuncture can help to relieve pain. During an acupuncture session, tiny needles are inserted by a trained practitioner at specific points on the body, which may help in reducing pain. 7. Tai chi: It is an ancient form of Chinese exercise, which employs slow, flowing motions that help in improving flexibility, balance and muscle strength. Tai chi may also help in preventing falls by improving balance of individuals. Different forms of tai chi are tailored for people, keeping in mind their age and physical condition. 8. Yoga: Gentle stretching movements and poses done in yoga might help in increasing flexibility and balance. Most of the poses can be modified according to a person’s physical ability. 9. Alexander Technique: It is a technique which focuses on muscle posture, balance and makes the person think about how he is using his muscles and helps in decreasing muscle tension and pain. 10. Meditation: In meditation a person quietly reflects and focuses his mind on some ideas or image while meditating. It aids in reducing stress and pain, and improve the overall sense of well-being in a patient. 11. Music or Art Therapy: Relaxation is promoted by music and art therapies. It has been observed that music therapy can help some patients by improving their walking and speech. By participating in art therapy like painting or ceramics, patients might improve their mood and relax. 12. Pet Therapy: Patients can improve their flexibility and emotional health by having a dog or cat. Raw foods: These foods are rich in antioxidants that help in reducing free radical damage and decrease inflammation. 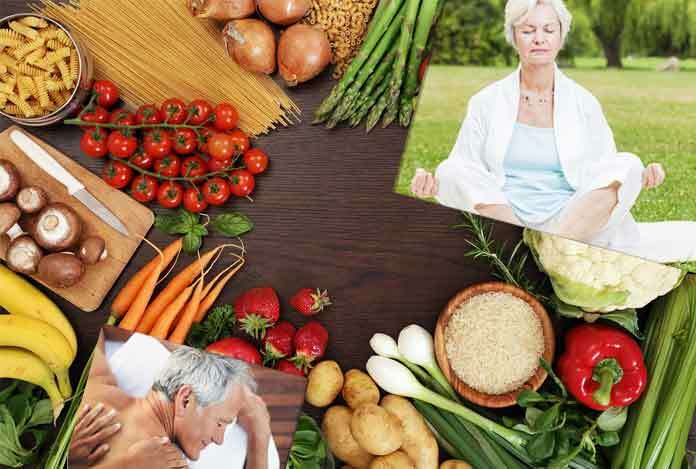 High fiber foods: Parkinson’s patients commonly suffer from constipation and hence, are recommended to eat plenty of fiber and stay adequately hydrated in order to improve their bowel functions. 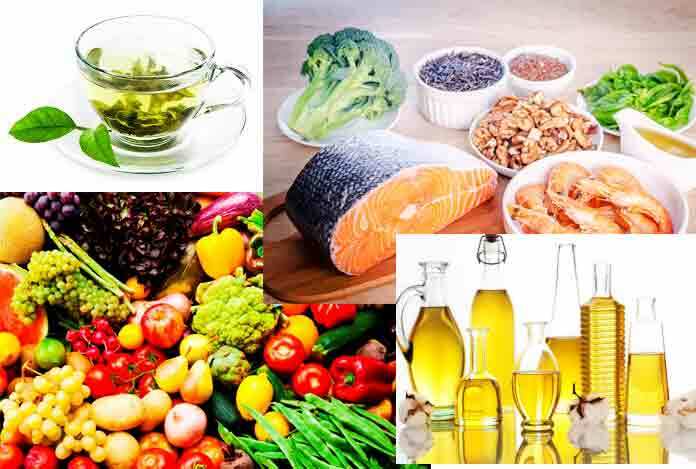 Healthy Fats: Consumption of healthy fats can improve neurological health and help in preventing mood swings. Wild-caught fish, coconut, avocado, pastured butter, and sprouted nuts or seeds like walnuts and flax can be included in the diet to manage the symptoms. Cold-pressed oils: Olive, coconut and palm oils are rich in beneficial oils that have anti-inflammatory properties and vitamin E which help in managing the symptoms of Parkinson’s disease. Omega-3 foods: Increasing intake of foods rich in omega-3 can help in increasing dopamine levels and reduce inflammation. Patients should focus on consuming wild seafood, nuts and seeds in their diet. Green Tea: Polyphenol antioxidants present in green tea can help in fighting free radicals. It is also rich in theanine, which helps in elevating dopamine levels in the brain. Parkinson’s disease is a chronic disorder which makes life difficult for the patient as well as for his family and friends. With proper diagnosis, care and treatment, it is possible to lead a normal life. Therapies can help in enabling the person to lead a better quality life.